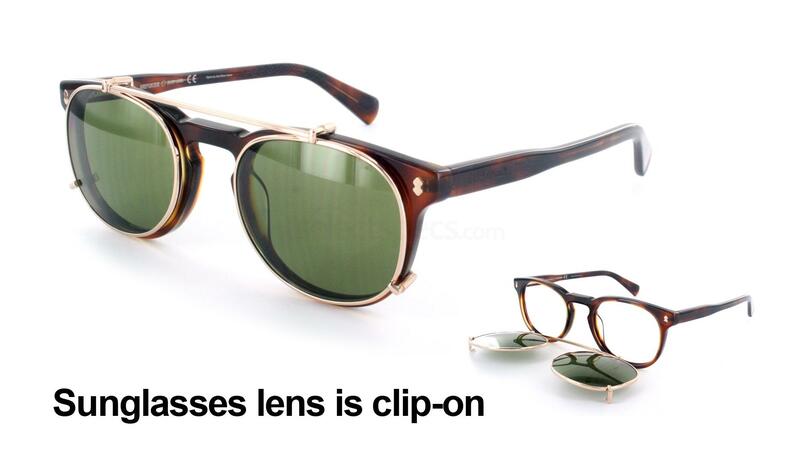 Clip-on and flip-up sunglasses are becoming all the rage at the moment. They are incredibly practical as you only need to buy one pair of frames, and the different lenses will cater to different weather conditions and environments. Some clip-on sunnies transform specs into sunglasses, whereas others simply offer different types of lenses to protect your eyes from the sun’s UV rays. 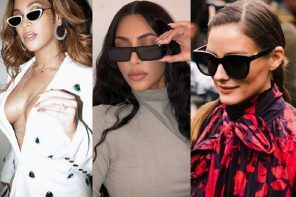 We have put together this article to show you our favourite clip-on and flip-up sunglasses of the moment! 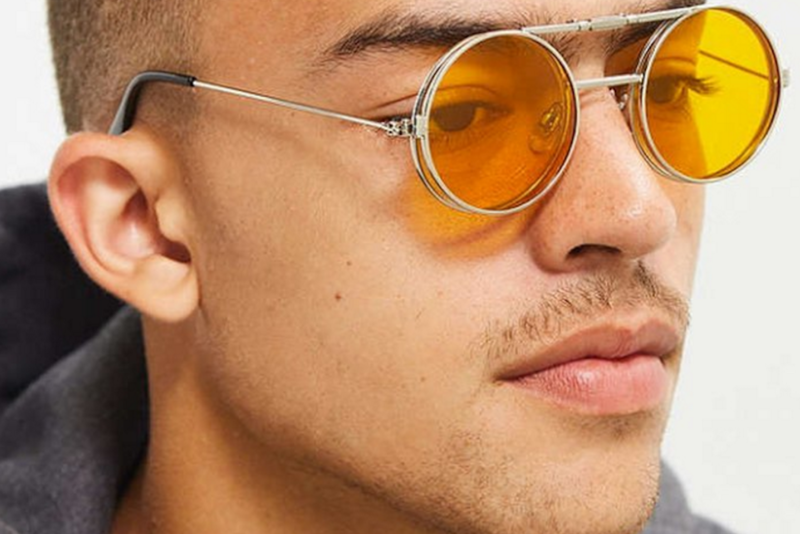 These Oliver People’s flip-up sunglasses are pretty nifty! 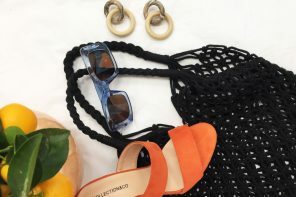 They are basically specs and sunglasses all in one pair – perfect if you are tight on space or simply can’t be bothered to carry around two different pairs of eyewear. We love the retro styling of these, with the round tortoiseshell frames being right on trend at the moment. They also come in three other colours. Choose between brown or dark grey lenses depending on what you prefer and what suits you best. These clever glasses from Infinity feature two different clip-on lenses. The yellow lens is perfect for wearing in low light conditions such as in early morning sun or evening light. The yellow will instantly brighten up a dreary day and also helps to reduce the levels of glare entering your eyes. The other lens is grey/black – the perfect option to clip on if you are experiencing brighter conditions, such as in the middle of the day or if you are driving directly towards sunlight. The frame comes in a choice of black or slate grey -it’s up to you! For the ultimate convenience, these Vista clip-on sunglasses feature a magnetic fastening, perfect if you need to change lenses quickly and without a mirror! These sunnies are rimless and feature round black temples for some added interest. The lenses are dark green in colour, perfect for very bright and sunny conditions. 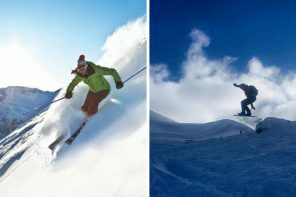 The lenses are also polarized, meaning that they are fantastic at reducing levels of glare entering your eyes – ideal for wet and snowy conditions. 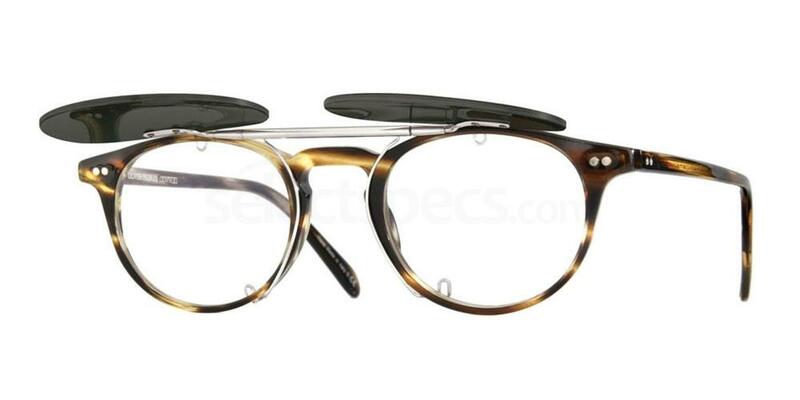 These super trendy glasses from Tom Ford again feature a clip-on design. The brown tinted lenses blend with the brown frames really well, and the graphite metal detail lends the pair some extra interest. 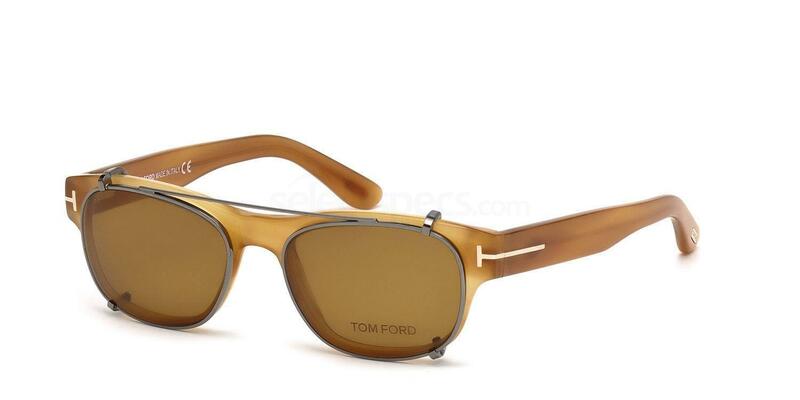 We love the subtle Tom Ford logo on the front of the lenses and the silver detailing on the temples. 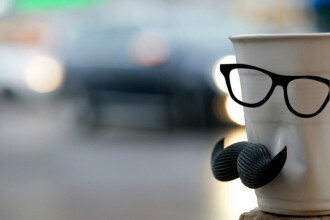 The model below looks super stylish wearing the same pair in the black shade. 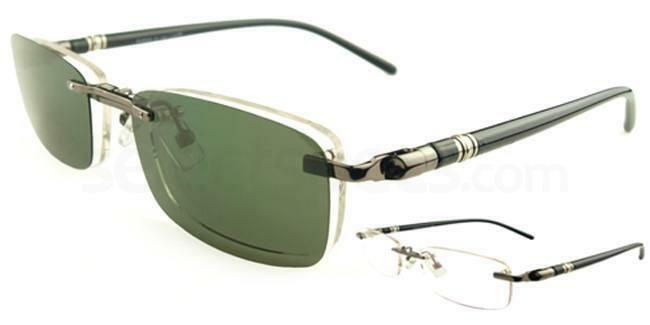 This stunning Harley Davidson clip-on pair features tortoiseshell frames and green tinted lenses which are perfect for low light conditions. 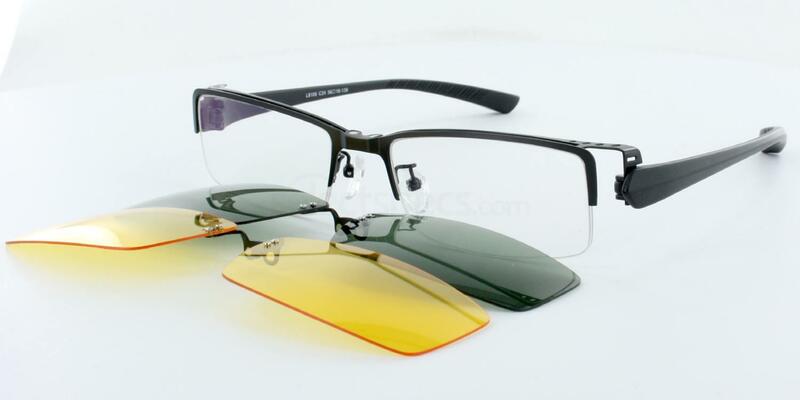 They are also available with a shiny black frame with grey tinted lenses if you would prefer.